The 2008-09 global financial crisis is seen as the most cataclysmic macroeconomic event since The Great Depression. Although it affected economies worldwide, it most harmed advanced economies which subsequently endured sub-optimal economic growth, record low interest rates, weak private investment, poor productivity, reduced working hours, low wages growth and high public debt. A decade has passed since central banks and governments through the G20 began deploying a range of co-ordinated monetary and fiscal measures in response to the crisis. It is timely to assess the policy lessons to be learned from this episode. 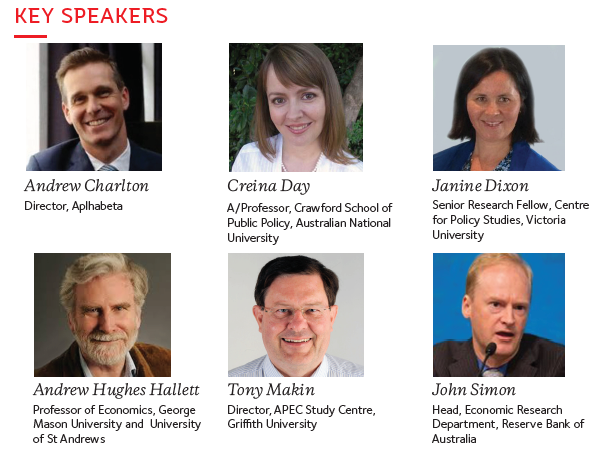 This Symposium, jointly organised by the Griffith Asia Institute and the Economic Society of Australia (Qld), brings together high profile economists to analyse the key issues.